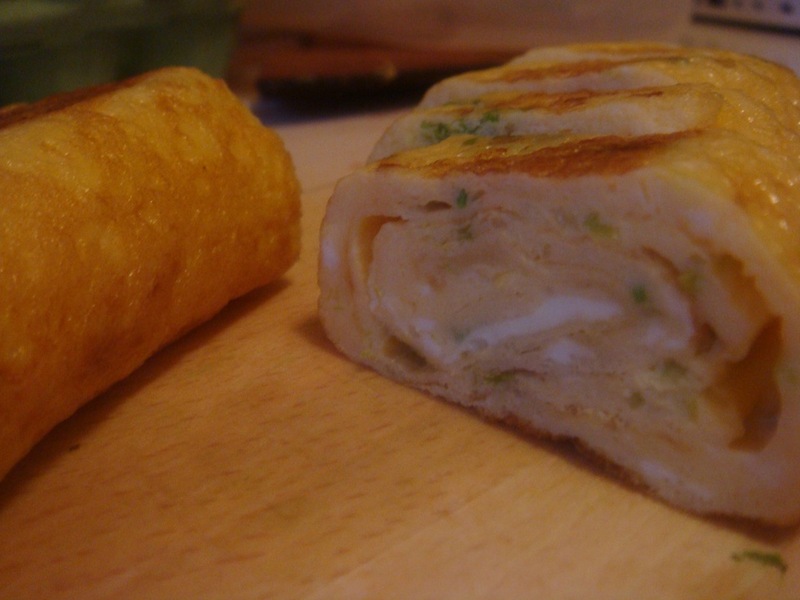 There are plenty of kinds of egg rolls – with cheese and corn, beef, shrimps, cabbage, mushrooms and so on. I decided to go for the classy ones with carrot and onion, but realized there are no carrots in the fridge a little too late. 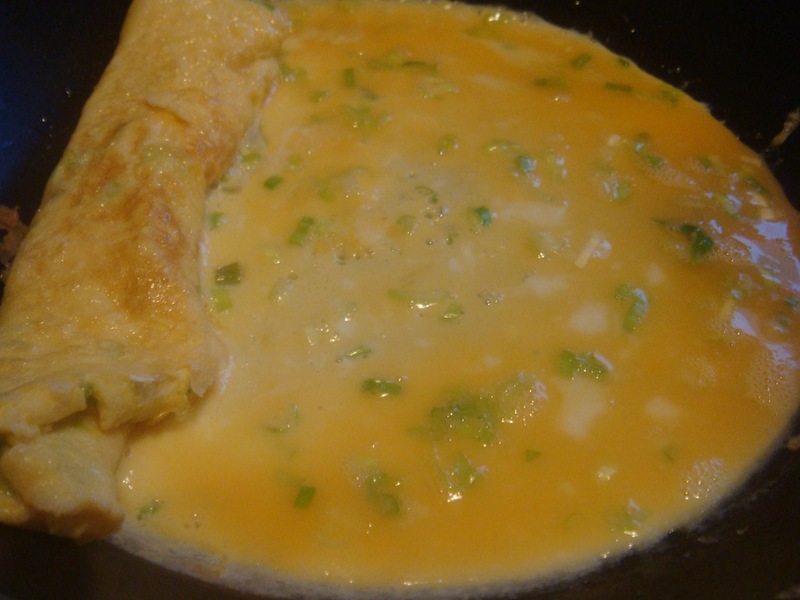 Egg rolls go perfectly with a bowl of rice and are pretty quick to make. a pinch of red pepper flakes (optional). Heat the frying pan. 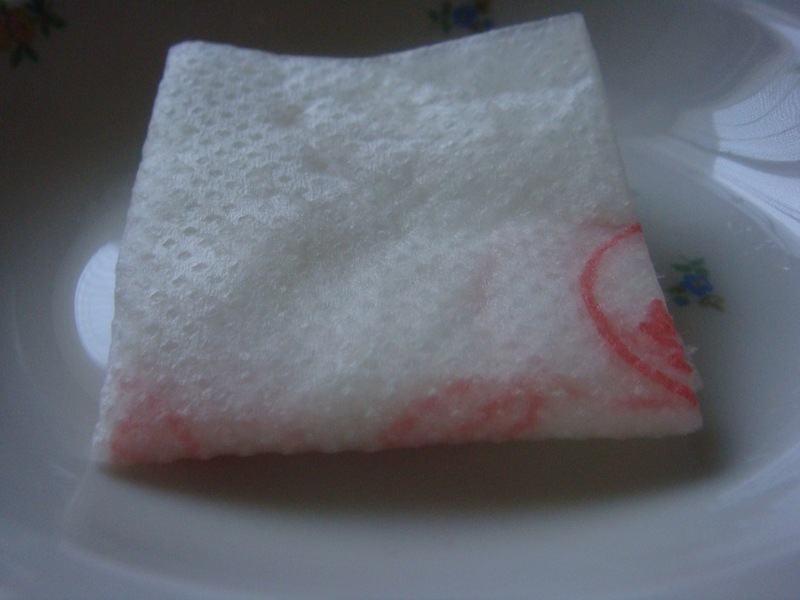 Grease the pan with the paper towel soaked in vegetable oil. 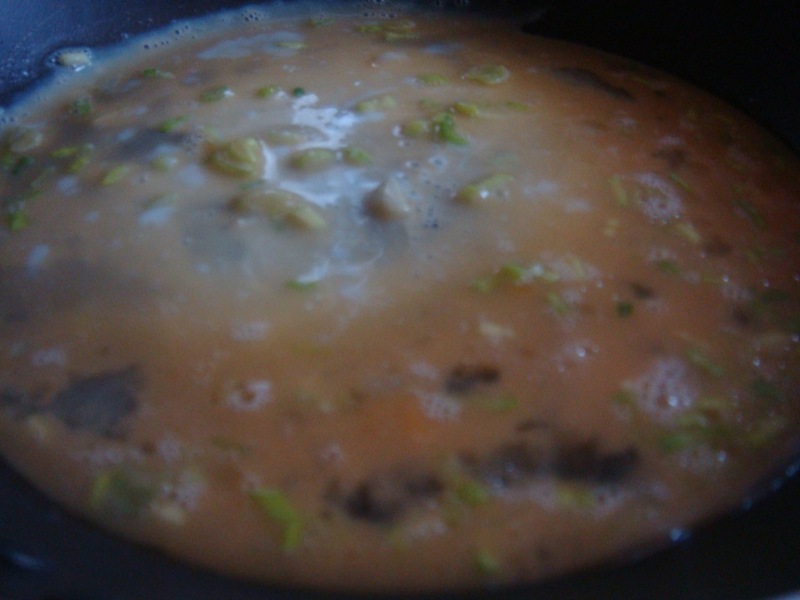 Pour 1/3 of the mixture into pan and allow to spread out. 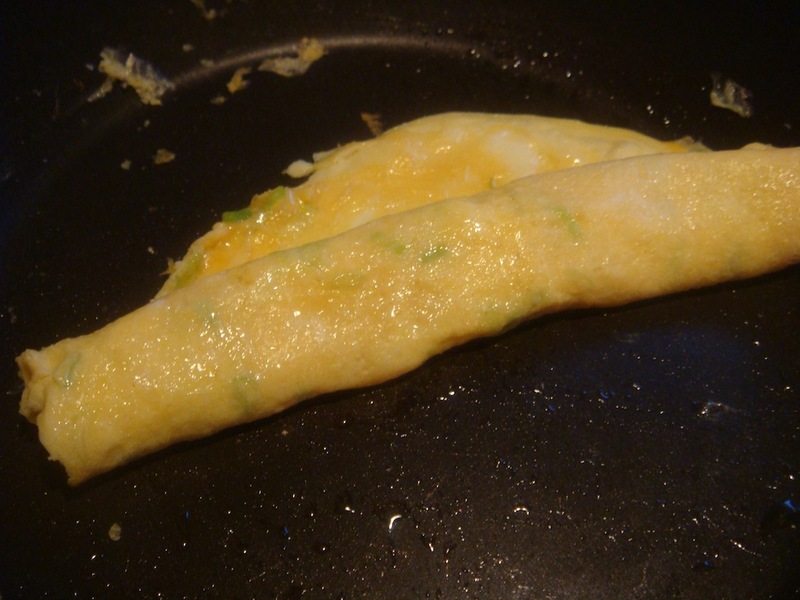 When the eggs are no longer runny at the top and edges begin to firm, start folding egg with spatula. Keep rolling until it’s completely rolled. 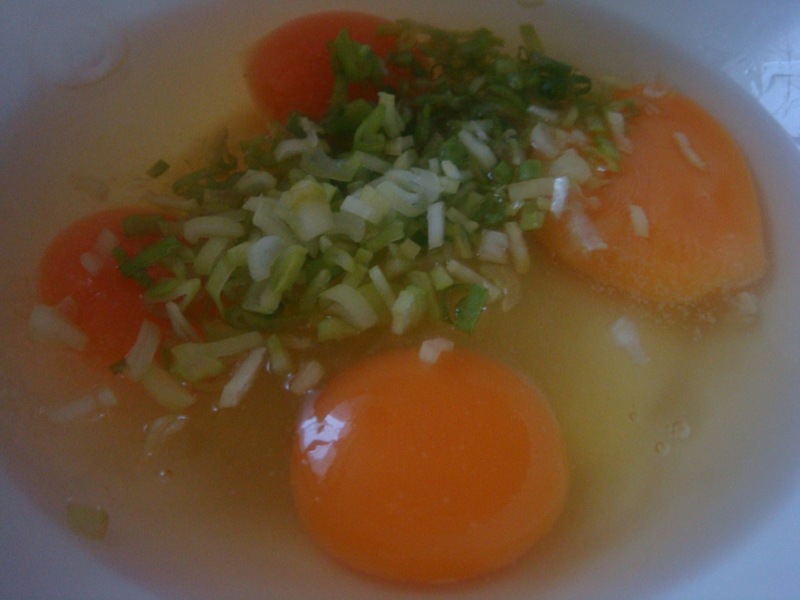 Pour 1/2 of the remaining mixture into pan and when it begin to firm, roll the egg again. Do the same with the rest of the mixture. Let it cook for 1 more minute. Turn off the heat and transfer the roll to a cutting board. 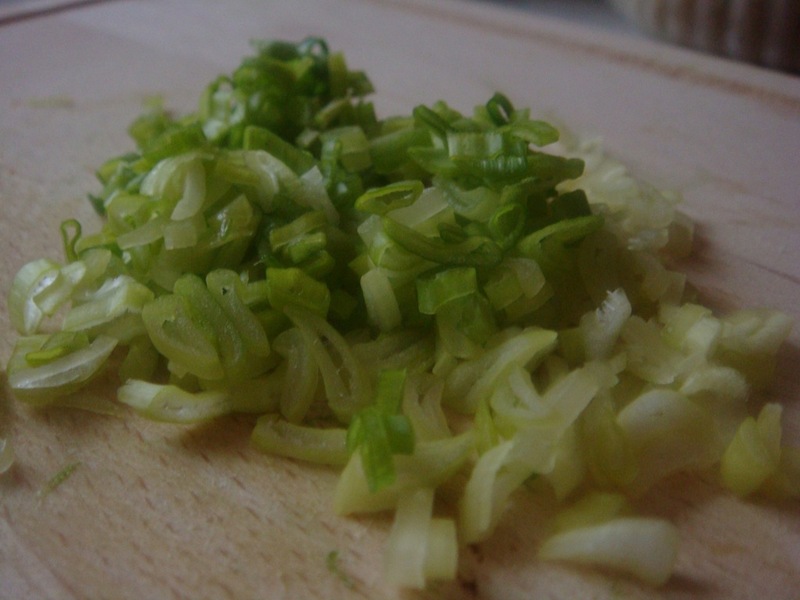 Cut into slices when it cools down a bit. Yum, that looks delicious! And it seems easy to make too, I’m definitely going to try this.